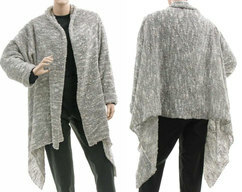 A luxurious, beautiful hand knitted cardigan in ecru colour. 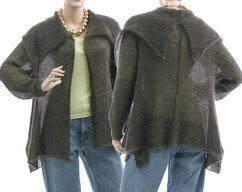 Super soft - made of high quality merino / baby alpaca yarn. 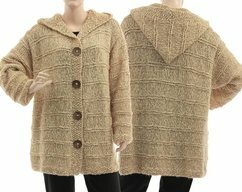 This cardigan is knitted with love for a long time (traditionally with needles). 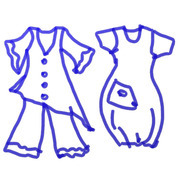 It is oversize, roomy - suitable for plus sizes up to XL. 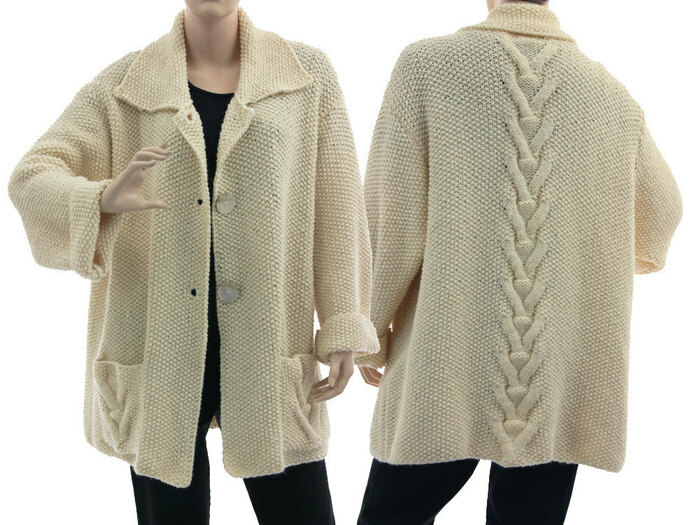 Knitted in textured pattern with a large decorative v-cables at the back and at the pockets..
Long sleeves, collar, huge pockets, to close with 3 large mother of pearl buttons. 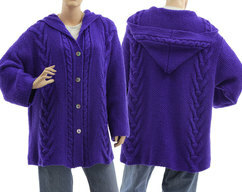 This cardi is casual and stylish - timeless design, wonderful material and quality workmanship. Wear this oversized, sumptuous knit for a luxe-layered look. Hand knitted - one of a kind.